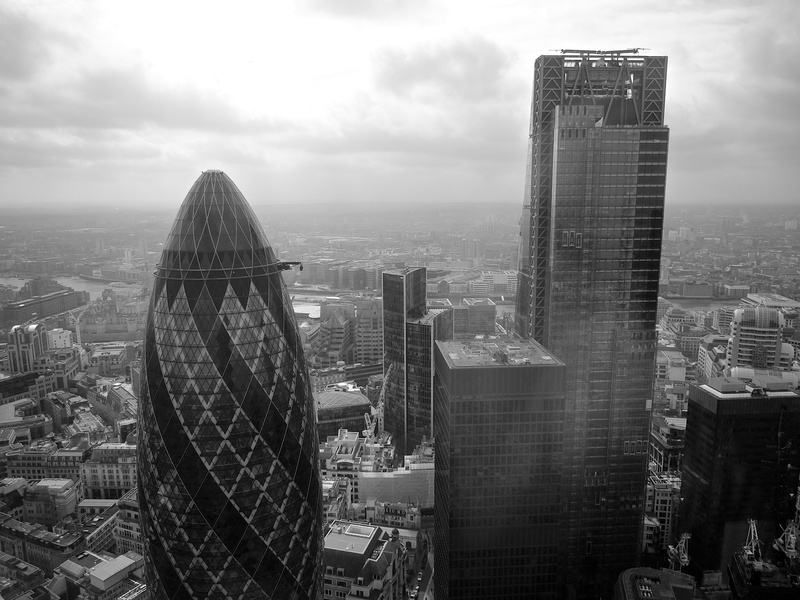 The Heron Tower is one of the few places in London where you can look down on the Gherkin. It also hosts a pretty snazzy restaurant. Was that taken from a nearby building? Any chance you have similar shots but in portrait? If it was all possible to get that without too much reflection in the window it’d be great to see the descent of the lines of the building to the ground. Nice job with the black and white conversion!